stage 2 b5 s4silver,stage 3+ b5 s4 santorin tial 650. Last edited by DESPOT D S4; 01-06-2012 at 06:10 PM. 2016 Audi S3 CTS Boss 600 turbo kit, CTS MPI, TorqByte PM3 LPFP management, CTS Intercooler, CTS Intake, CTS Downpipe, MagmaFlow Exhaust. Soo sick! I love that set up. Do you still have your BBS Ch's? Those looked amazing also. ^^^^I love both sets. Very nice sir. Do I dare play, despite it being a A4? Your car is badass sir...luv the stance and the euro rear. any side pics of the rials? 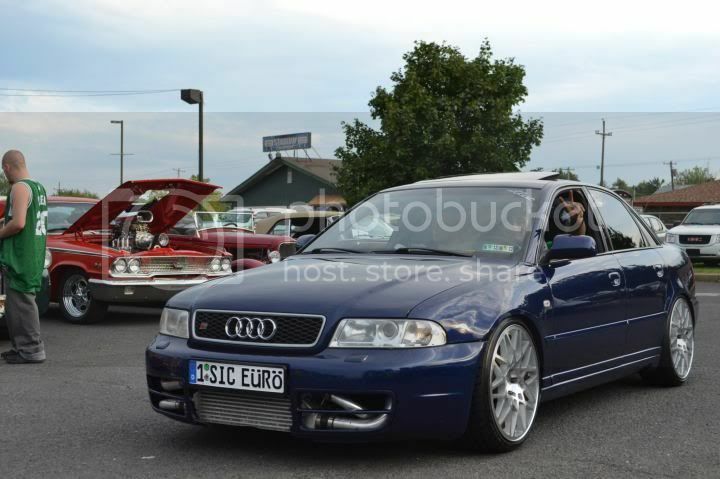 Bronenetechnic Running the streets in CT in my 2001 EPL STG 3 S4 430whp NO meth! Please feel free to contact us with any questions!! Ordering some better center caps bc I didnt like the ones it came with. Dusty, that's delicious! 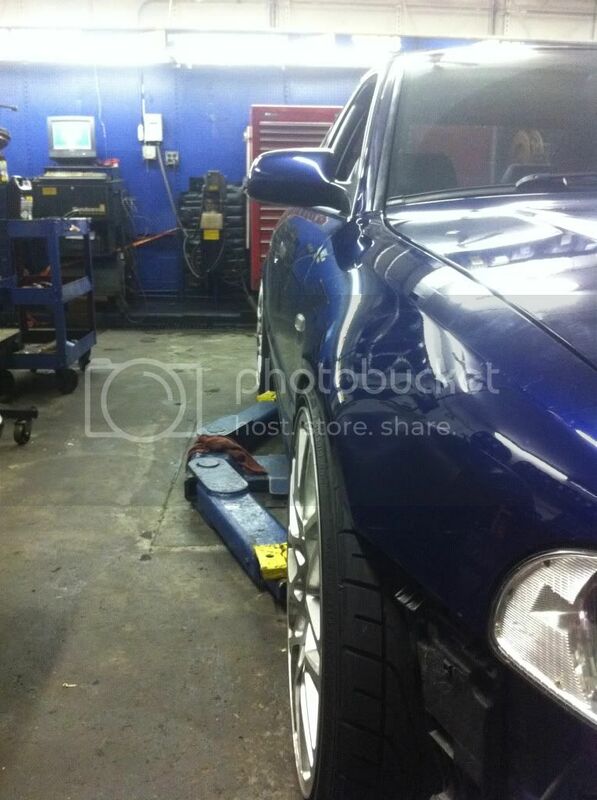 Nice to see someone with a 9.5j on there too! 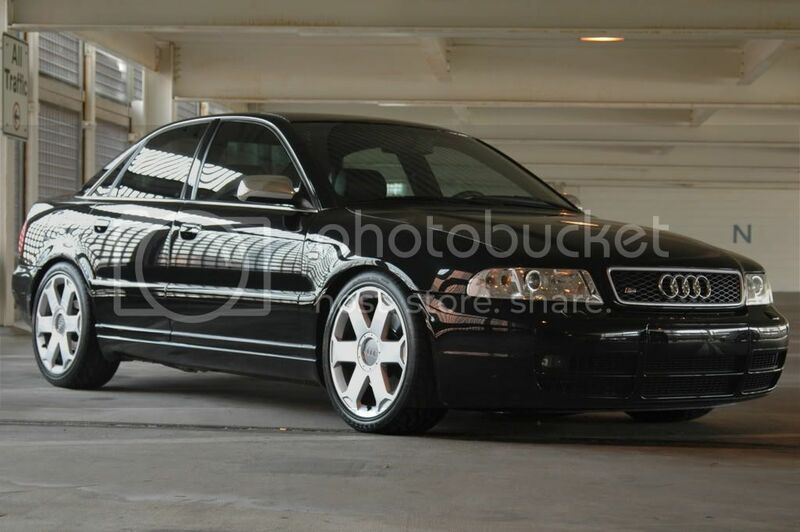 2000 S4. 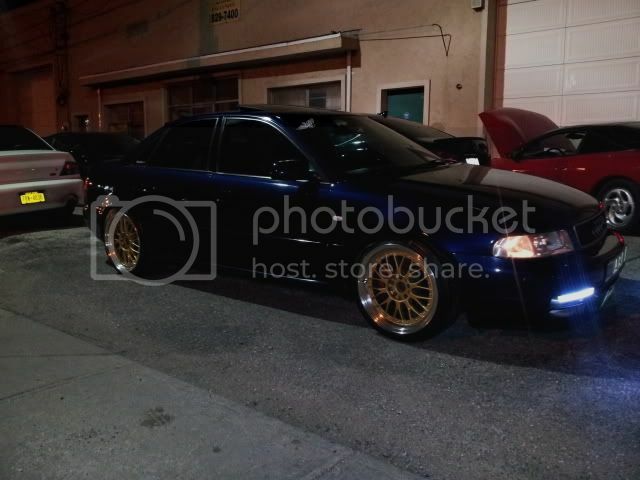 Stage 2 6spd, APR Tune, 2.5" catless DP's to 3" vibrant ss exhaust, KW-V1 coilovers, 18x8 RPF1's and winters on stockers. 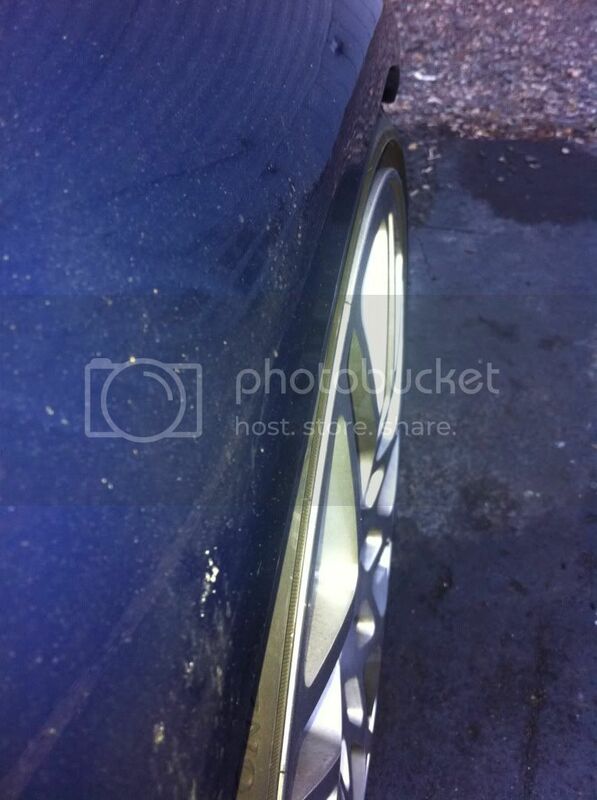 1988 300zx GT35, Stance Coils, 18x9.5/10.5 Varrstoen 2.2.1's, lots else. Big Head that is spot on. How much clearance do you have on the inside of all four wheels? Room for 9.5's at same offset? 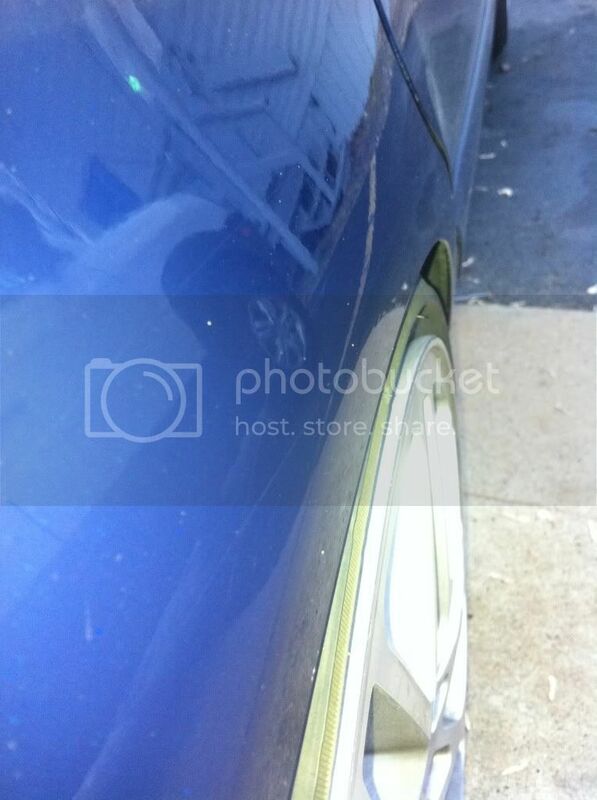 You can run 18x9.5 at the same offset (et30) but it will stick out about an extra 6mm. You can run all the way up to a 18x9.5 et40 if you have aluminum uprights and just clear the inners. 18x9.5 et35 is probably the best setup for you as it will only poke an extra mm or 2 and it will offer enough clearance on the uprights to not require mega stretch. Frimmel: i only speak when i have something negative to say. Grah4m: i lost to a giraffe. be careful out there. I want to see more 17" setups. With 9" all around what offset would get me flush all around? +32 with 235/40's? I'm not driving fast, I'm flying low. But honestly, If you'd want it flush...dont go for 235. 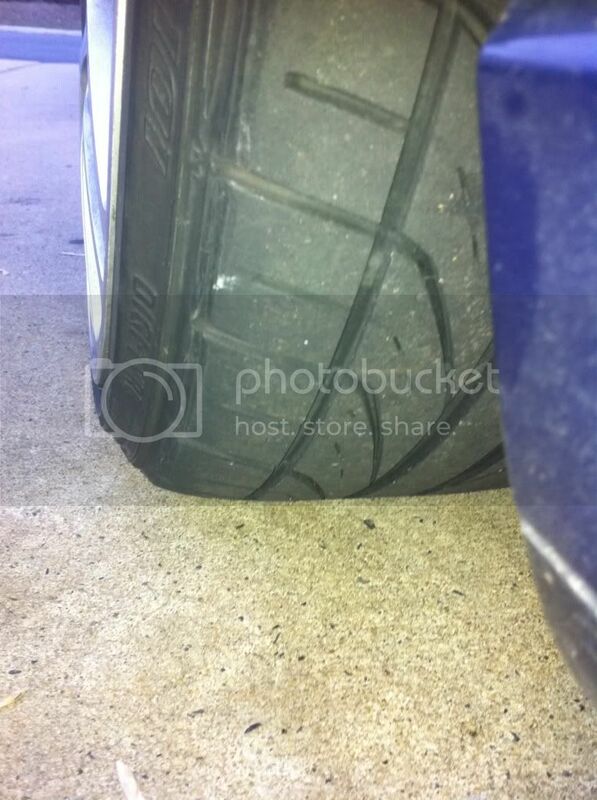 Ok what will allow me to run close to no camber at all (don't want to wear tires just to be low) and still be flush? I thought I had the right idea going in. But now seeing this thread, lots of different offsets "look" like the pretty much pull the same outcome. 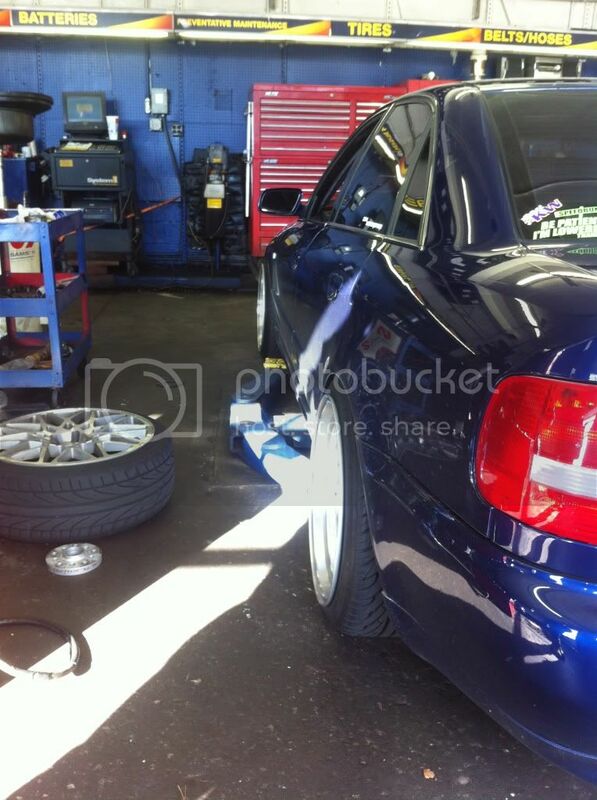 Ditto - Anyone w/ 17" Volks, SSRs, Enkeis, Koseis?? Here are the pics you asked for. More information would really be helpful. 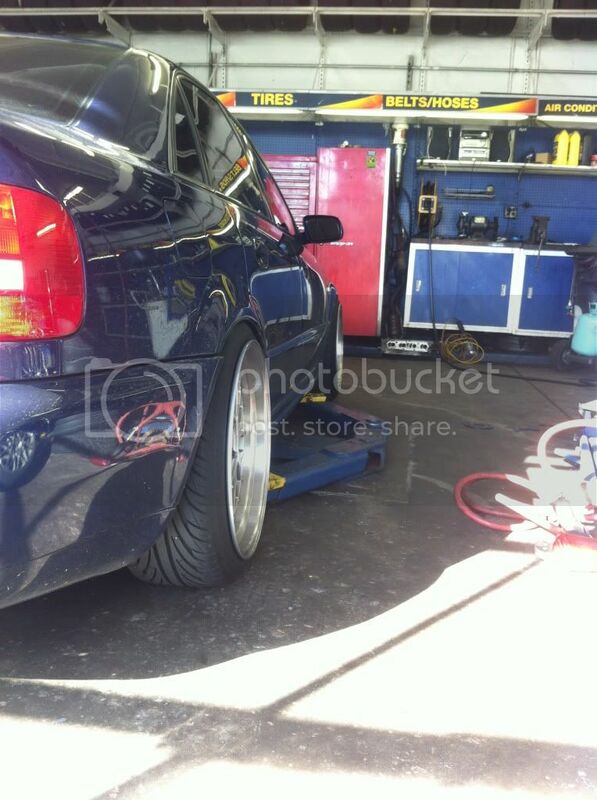 Information such as ride height, wheel size, and fender work (or lack of it). 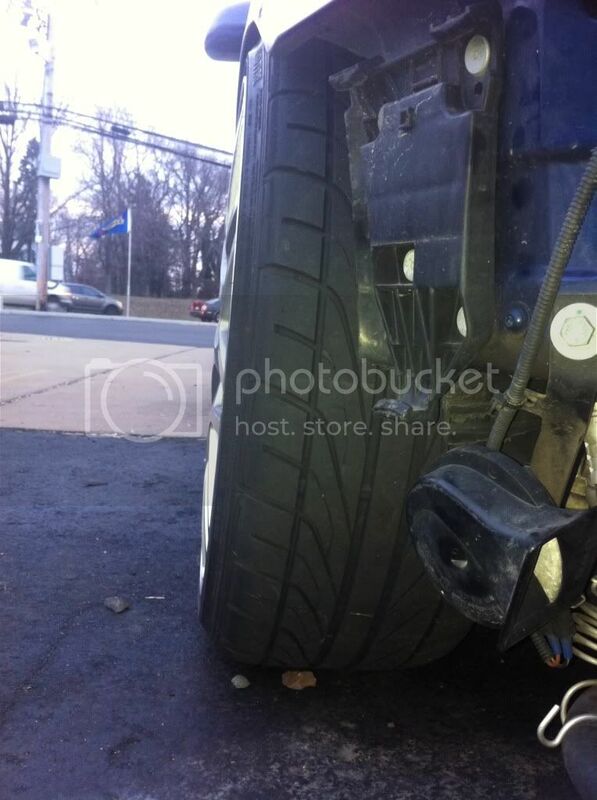 If you have fitment questions it might be helpful to start your own thread or contact a tire/wheel distributor as opposed to jumping into the middle of a thread dedicated to wheel pics and specs. Im certain this is the type of thread subscribers would prefer stayed on topic. 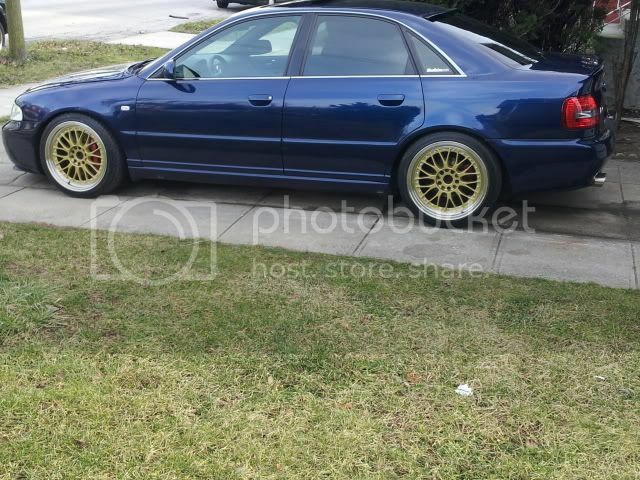 I would suggest you search google with the wheel specs you provided and include "Audi B5" to see what others have done, that way you can hopefully find a visual aid as well as your answer as wheel fitment and tire selection are not the goal with this thread. Last edited by careercadaver; 01-11-2012 at 09:54 AM. I don't see there being a problem. If you want to be safe, get some 5-8mm spacers. I would say 225 is better than 235 because there are less chances of rubbing. 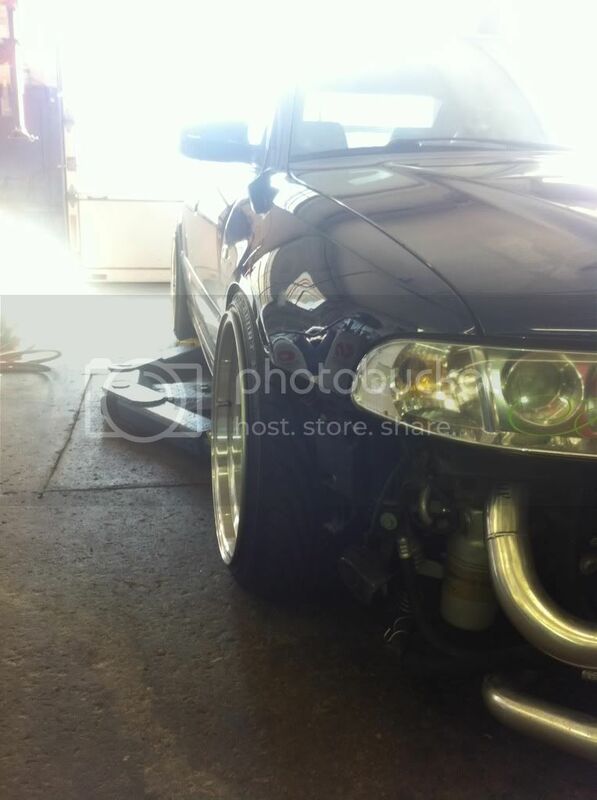 2 deg camber no rubbing. Im on my phone and cant see all that close. Are those stock ICs? Hey, thanks for actually keeping the thread on track. I don't see how my question was off topic. It's off topic because you're not supposed to be asking about fitment issues or help..
You're supposed to post pics and info of your cars current setup. lol thanks, I did them to piss a bunch of people off at the time.. Haven't gotten around to changing them. Last edited by 30vQuattro; 01-12-2012 at 12:36 PM. 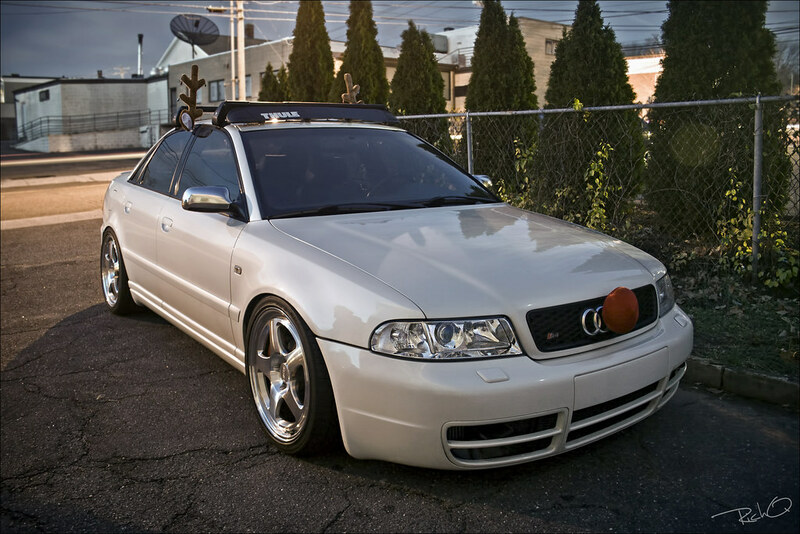 I want to order spacers this week. Let's post 'em up.